Fri., May 29, 2009, 5:28 p.m. 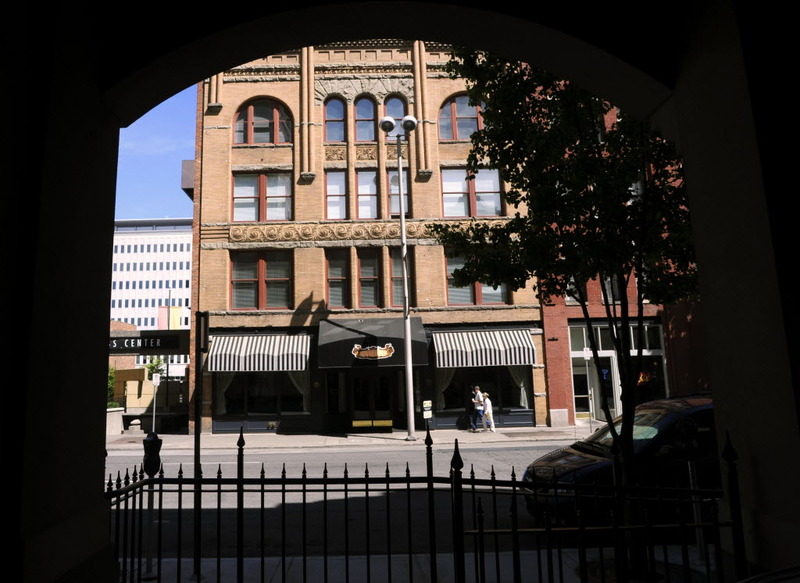 The owners of one of Spokane’s best-known hotels have bought another historic downtown inn. Karen and Walt Worthy this week purchased the Hotel Lusso, at 1 N. Post. The building is directly opposite the historic Davenport Hotel, which the Worthys also own and operate. Walt Worthy said he has no plans to change the name of the Lusso or the way it’s run. The hotel’s separately managed restaurant and bar also will remain. His hope is that the Davenport’s marketing team will make it easier for the Lusso to book more leisure and business travelers. The amount the Worthys paid to Lusso owners Joe and Mary Z. Dinnison wasn’t disclosed. At its last Spokane County assessment the Hotel Lusso was valued at $3.24 million. The sale included an excise tax exemption involving a deed in place of foreclosure — meaning the Dinnisons face a possible default on a loan or contract. The Dinnisons have been looking to sell the Lusso for more than two years. Joe Dinnison’s job is executive director of the Whitworth University Foundation. The purchase adds 48 rooms to the Davenport inventory. The main Davenport Hotel, at 10 S. Post, has 283 rooms. The nearby Davenport Tower, built by the Worthys at 111 S. Post, has 328 rooms. It opened in 2007. Both the Davenport and the Hotel Lusso are on the Spokane Register of Historic Places. The sale was announced Friday to Lusso employees, Davenport communications manager Tom McArthur said. Most management positions at the Lusso will be eliminated, Worthy said, but some of those Lusso managers likely will land jobs working with the Davenport in other capacities..
“We really wouldn’t need to take on any more management positions to fold it in into the rest of what we’re doing,” he said. The Dinnisons opened the Lusso in 1998, after buying two historic buildings and combining them in an extensive renovation. The Worthys reopened the Davenport in 2002 after a renovation reported to cost $30 million. It has since become a prime attraction in downtown Spokane. Worthy said the acquisition of the Lusso gives the Davenport additional meeting space downtown. It also offers travelers a wider choice of accommodations when they contact the Davenport, he said. “There’s a certain group of travelers who prefer a boutique experience and shy away from larger properties. We know that everyone’s favorite color is not red,” Worthy said. The Lusso, he added, is considered Spokane’s best boutique hotel. Contact Tom Sowa at toms@spokesman.com or (509) 459-5492. Published: May 29, 2009, 5:28 p.m.